It is human nature to want to influence government in whatever direction you think would be best for you and the people you care about. What I have noticed is that whatever the government throws at business, sometimes beneficial, sometimes not, companies react and respond with intelligence and creativity to make the best of it. Official White House Photo by David Lienemann. Businesses take note of events like the State of the Union address, because public policy impacts them in a big way. That is why they form trade associations and lobby. They may be lobbying against other trade associations, but still, who wants to give up pushing for things that will benefit them? I can hear you reading. Let’s not even talk about that. I understand, I am by nature a very political person, was brought up that way , and I am weary of the whole thing myself. 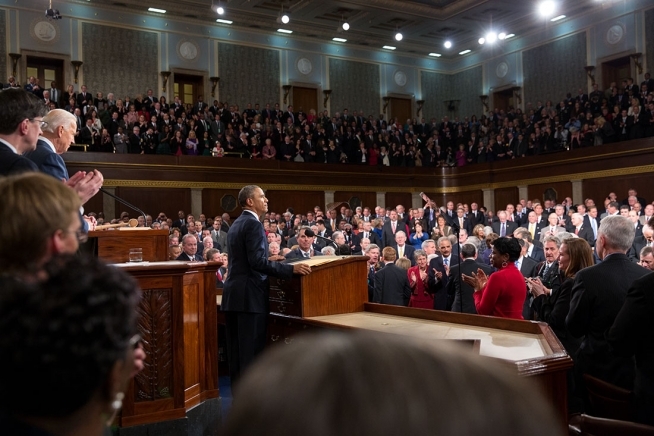 So when the State of the Union address happens every year, thoughts range from ambivalent to interested. Before this year’s State of the Union address, Daniele Abril of the Dallas Business Journal asked if I would provide some instant punditry about the content of the speech. I sidestepped that, choosing to consider it more about the restaurant industry rather than my personal opinions. My thoughts were published as part of a special report: Dallas Business Leaders Weigh in on State of the Union. I talked about minimum wage and health care, where restaurateurs are not very happy, and potential immigration policy where they are hopeful. The best businesses focus on how to improve, increase top and bottom lines, and their customers’ experience. They are in charge of their own destiny. The fear that comes from feeling like the end is near because of this politician or that government program is, like most fear, wasted energy. That energy can be positively applied to make everyone in an organization better every day as it advances the quality of results for the future.